Being a student is not just sitting in class, but also having to follow the development of research and science which is now increasingly updated. Having extensive knowledge of various sciences is a dream for every student. Here are 5 journal sites that can enrich your knowledge. Medscape.com is a journal site as well as a medical web. Medscape also provides the latest medical news, perspectives from health experts, as well as information about diseases and medications. In addition, you can access learning videos that are also provided by Medscape. The facilities provided by Medscape can only be used if you have registered as a Medscape member. The registration is fast, easy, and of course free. Medscape is also available as an application. You only need to download using your smartphone. 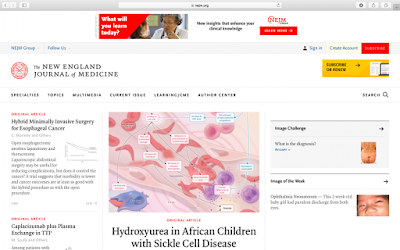 NEJM or The New England Journal of Medicine is the leading medical journal and web site in the world developed and managed by NEJM Group. 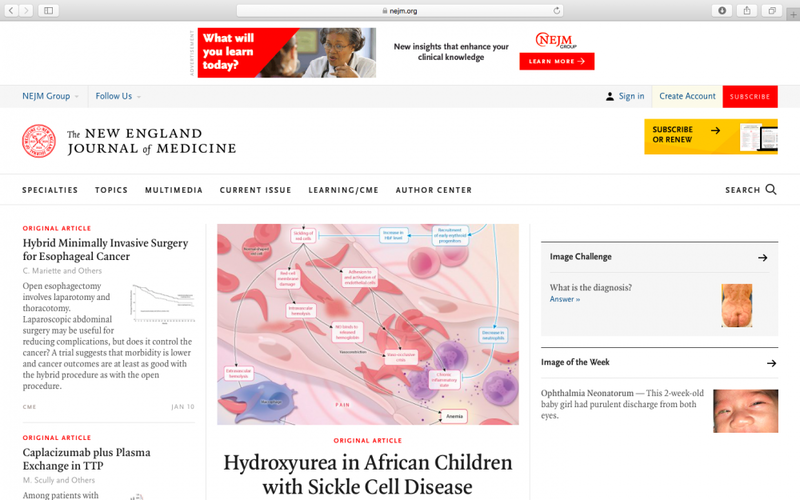 As a leading medical website and website, NEJM provides high-quality research, peer review and interactive clinical content to doctors, educators and the medical community globally. There is one interesting fact about NEJM, it turns out that NEJM is more than 200 years old, but was formerly called the New England Journal of Medicine and Surgery and the Collateral Branches of Medical Science in 1812. Surely there have been so many research and scientific results that you can read there. It's so cool that it can still exist until now. PubMed is a journal site developed and managed by the National Center for Biotechnology Information (NCBI), at the US National Medical Library (NLM), which is located at the National Institutes of Health (NIH) in 1996. Currently, PubMed already consists of more than 29 million quotes for biomedical literature from MEDLINE, life science journals, and online books. PubMed quotes include parts of Life Sciences, Behavioral Sciences, Chemistry, and Biotechnology. If you want to access full text journal articles, you must subscribe first or you can also log in through the Institution Library where you study. Take it easy, that doesn't mean you can't access full, because PubMed also provides online journals that provide open access to the public. Scopus is also a leading journal site from Elsevier, formed in 1995. It is also a journal site based on abstract data and the largest peer-reviewed literature quote in the form of scientific journals, books and conference. Scopus provides a comprehensive overview of the results of research around the world in the fields of Science, Technology, Medicine and Health, and Social Sciences, Arts and Humanities. The advantages of Scopus, it offers free features for non-subscription users, and is available through Scopus Preview. If you want to subscribe, you can register for free or log in through your institution. Wow, isn't that cool? ScienceDirect is Elsevier's leading journal site that can help researchers access reliable, interdisciplinary research and basic information. Not only does it contain journals or health-based books but many also include Mathematics and Natural Sciences, Technology, and Social Sciences and Humanities. Subscribing to ScienceDirect makes it easy for you to access articles from up to 3,800 journals and more than 37,000 book titles! even without a subscription, you can also access more than 250,000 open access publications throughout the world. To access it you can register for free or log in through your institution.